As children grow, every bone in their body changes, including their teeth and jaws. Scheduling regular dentist visits helps you track the shape and size of your child’s jaw. This helps you stay informed of what treatments he may eventually need to fix overcrowding, gaps and bite problems later. Learn more about bite patterns and jaw problems from WebMD. The jaw is too small to house all the teeth, causing crowding. The upper jaw is larger than the lower jaw, resulting in an overbite and poor tooth alignment. The upper jaw is smaller than the lower jaw, resulting in an under bite and poor tooth alignment. Early loss of baby or adult teeth. Improperly fitting crowns or fillings. Excessive pressure on the teeth and gums. Misaligned jaw following an injury. Oral health problems in children, including thumb sucking and pacifier and bottle use after age 3. Why are Malocclusions a Big Deal? Difficulty keeping teeth clean, increasing the risk of gingivitis, cavities and tooth decay. Extra strain on the teeth, jaws and muscles, as well as protruding teeth, which increase the risk of cracking or chipping a tooth. Unfavorable tooth growth and uneven wear, which can permanently damage teeth. Lowering your child’s self esteem because of crooked teeth when they smile or speech impediments caused by misaligned teeth. How do You Know if Your Child has a Poor Bite Pattern? Abnormal teeth alignment (including overbites, under bites, cross bites and open bites). Difficulty chewing or biting down. Speech problems, such as a lisp. X-rays, which reveal detailed information about tooth and root placement as well as if any more permanent teeth have yet to erupt. Normal photographs to further examine the relationship of teeth to jaws to head. 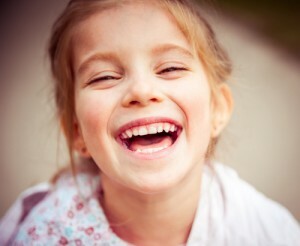 Teeth impressions made by biting down on a soft material, which is used to create an exact copy of your child’s teeth. Since our office provides both child dentistry and basic orthodontic treatments, you may be able to remain at our office for all your child’s teeth cleaning and straightening needs. Early orthodontic evaluations should occur no later than age 7 so you can keep on top of your child’s bite pattern and determine if treatment might be necessary. A removable retainer to stabilize a new position for your child’s teeth. Tooth extraction to solve problems with overcrowding. Braces as early as age 11 or 12 once all adult teeth have erupted. Operation in rare cases to fix extreme bite problems. If you’re worried about your child’s bite pattern, please contact Evanson DDS online or call us at (720) 409-0008 to schedule an appointment for your child.